The Prague Convention Bureau announced that the websites of Congress Prague gained 3rd place in the category “Digital Project” of Czech Tourism Grand Prix. The awards ceremony took place on Thursday, January 17, 2019 at the GO and REGIONTOUR travel trade show in Brno, Czech Republic. The new website of the Prague Convention Bureau was launched in April 2018 on the occasion of organization’s 10th anniversary. 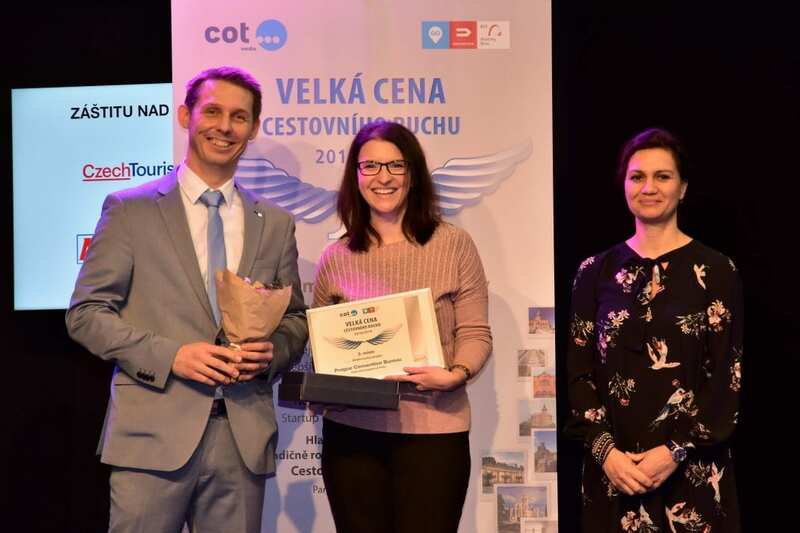 The project was recognized as the third best digital project of Czech tourism industry in the Czech Tourism Grand Prix project, organized annually by the COT media publishing house and Veletrhy Brno company. The first prize in the category went to the Regional Authority of the Pardubice Region with the tourist portal Vychodni-Cechy.info. This year, the awards were handed over in five categories. The expert jury evaluated the registered projects in four categories, the winners of the fifth one – the Best Tour Agent – were chosen based on the voting of general public. “We have observed the previous years’ trend of increasing quality of the registered projects being reconfirmed. While the Czech Tourism Grand Prix is a local competition, I am convinced that many of the presented projects would succeed on the international level too,” commented Eva Frindtová, representative of the COT media publishing house.